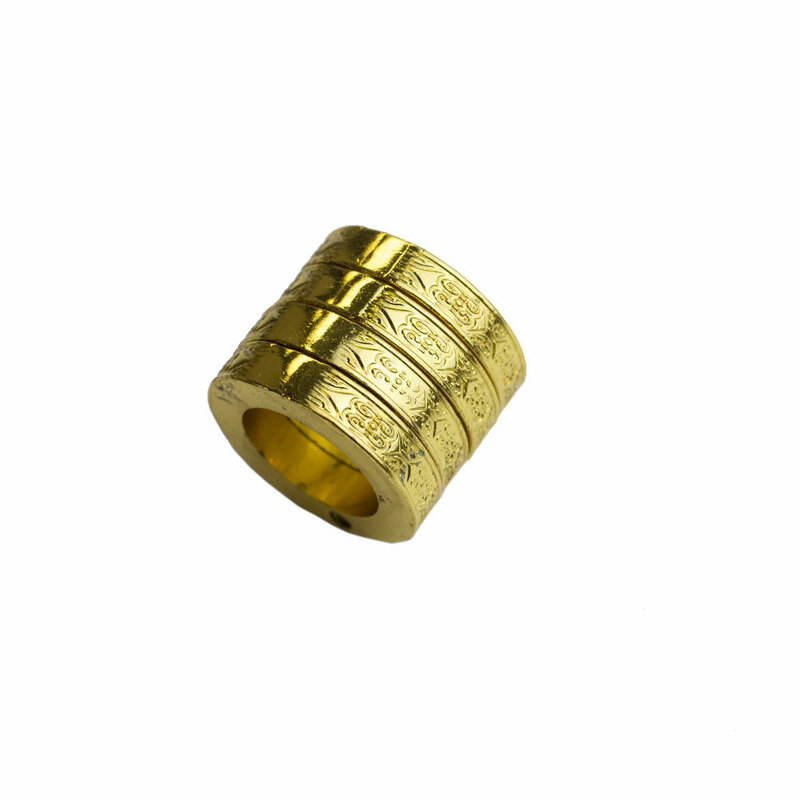 Hopefully the Kung Fu Power Self-Defense Ring is something you'll never need to use, but it's much better to be safe than sorry when it comes to your safety. 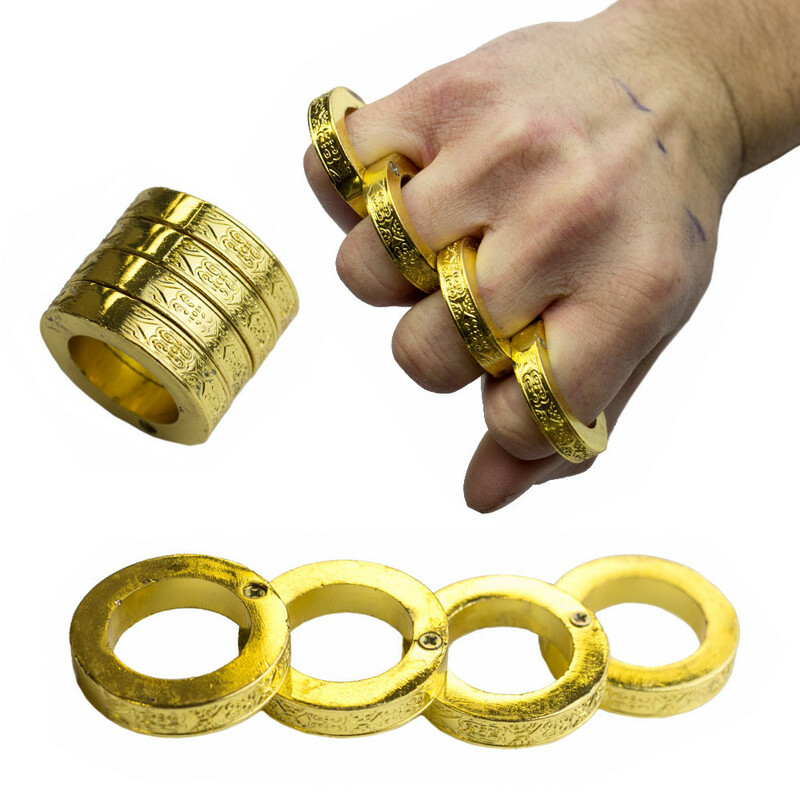 The Kung Fu Power Self-Defense Ring starts off as a simple, stacked ring, but after being fanned out the device can be worn like brass knuckles to quickly break things around you or provide additional power when fighting an attacker. 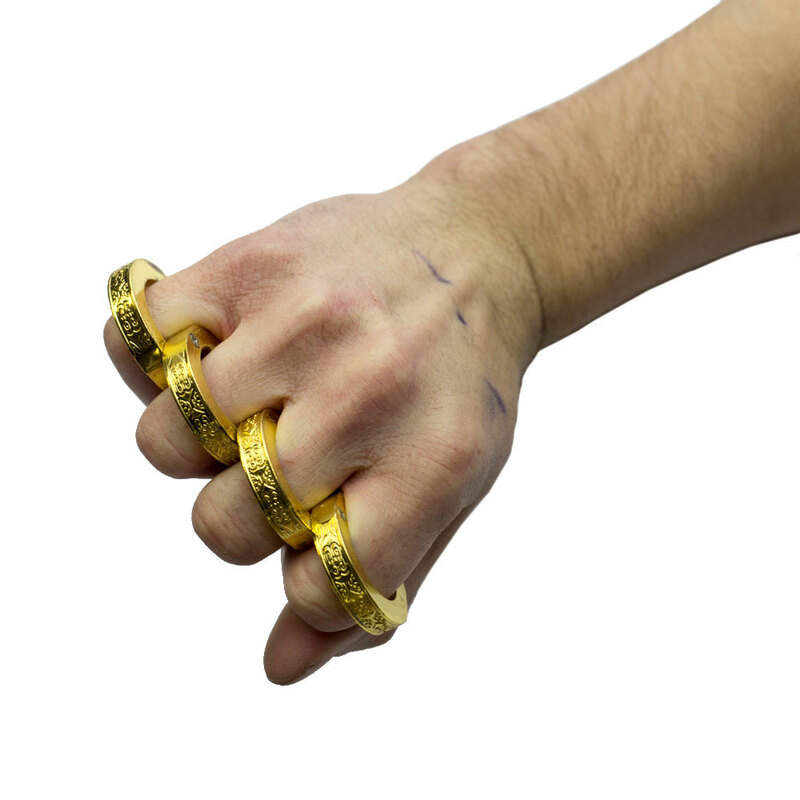 Able to be worn in a variety of ways to provide additional strength when needed, the Kung Fu Power Self-Defense Ring is a must for those who want to stay safe without having to invest in a more brutal piece of equipment like a knife or gun. Simple structure, small size, light weight, easy to carry. This stack of Magic Rings fans out to create a 4-wide set of individual inscribed adornments for Pointer, Tall Man, Ring Man, and Pinky. You will know how to use it after a short time to learn it.  It is easy to camouflage, the effect is excellent. 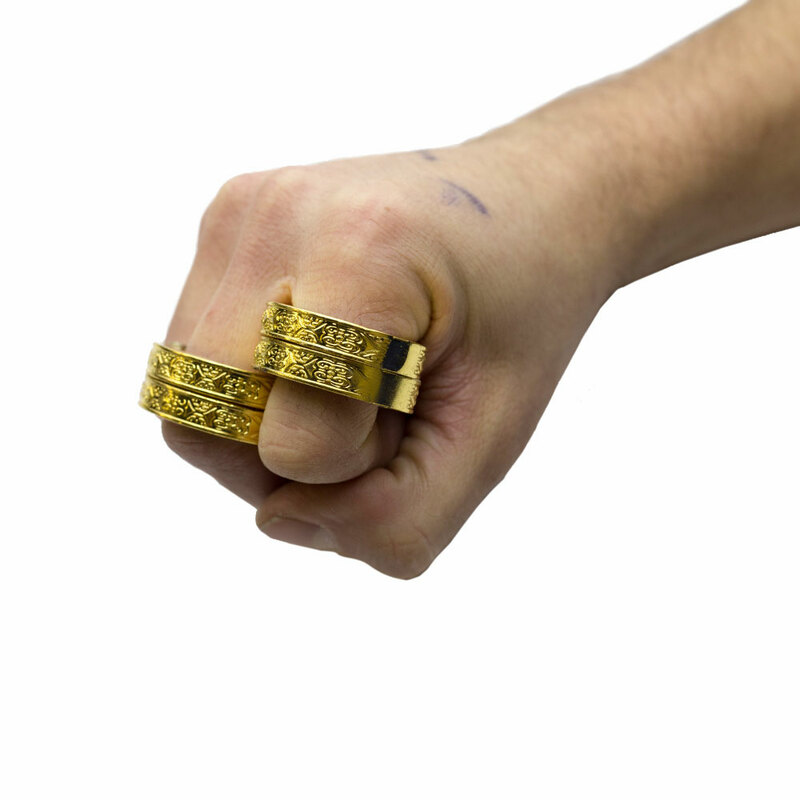 Great for self defense in emergency circumstances.